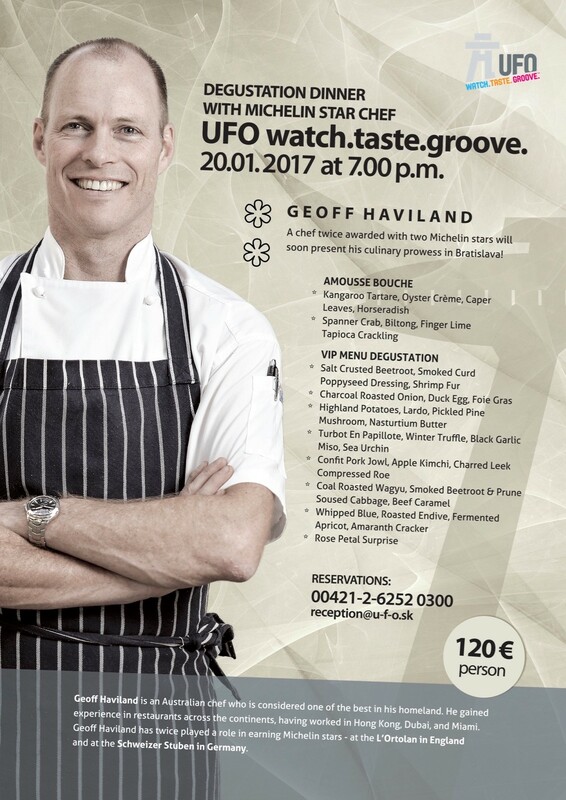 For gourmets – menu from a two-star Michelin chef! The UFO watch.taste.groove. restaurant will be serving a special menu created by a chef who hails from far-away Australia. Geoff Haviland has twice played a role in earning Michelin stars for restaurants – at the L’Ortolan in England and at the Schweizer Stuben in Germany.